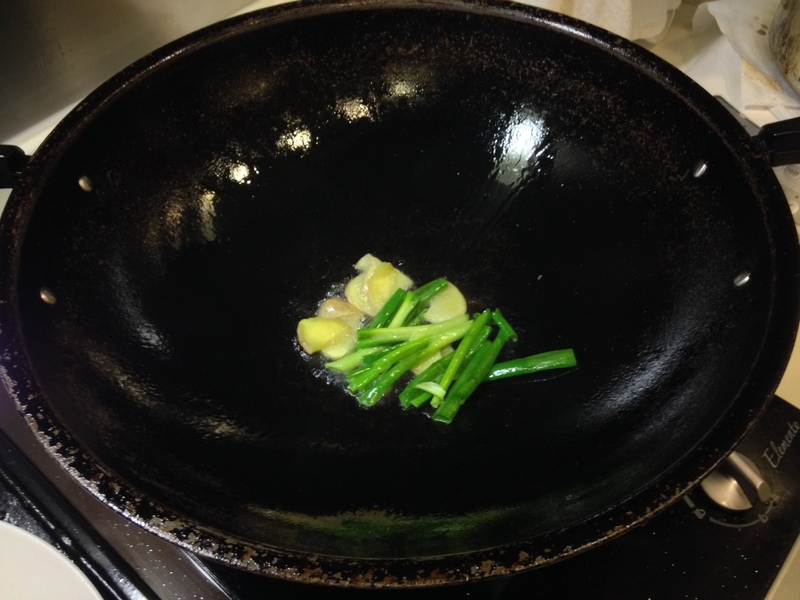 priscilla made this dish for the premier night of the amazing food challenge, which aired on the asian food channel. 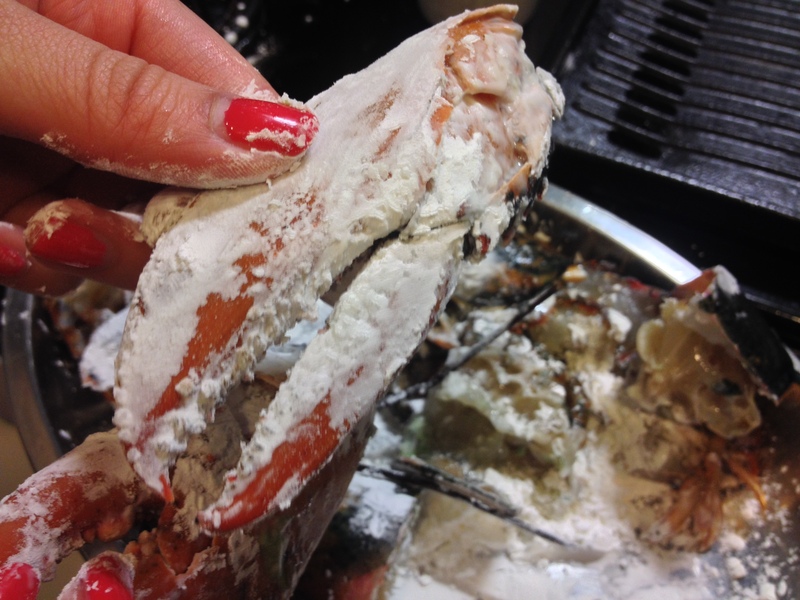 the whole family thought it was such a grand gesture, since making this dish is no simple task. 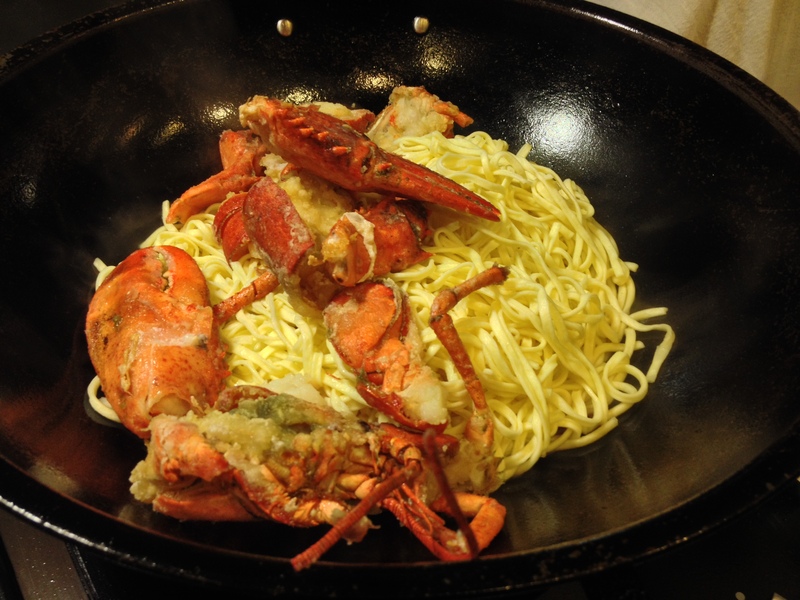 lobster yi mein is a classic item served as the last course in every chinese banquet, especially at weddings. 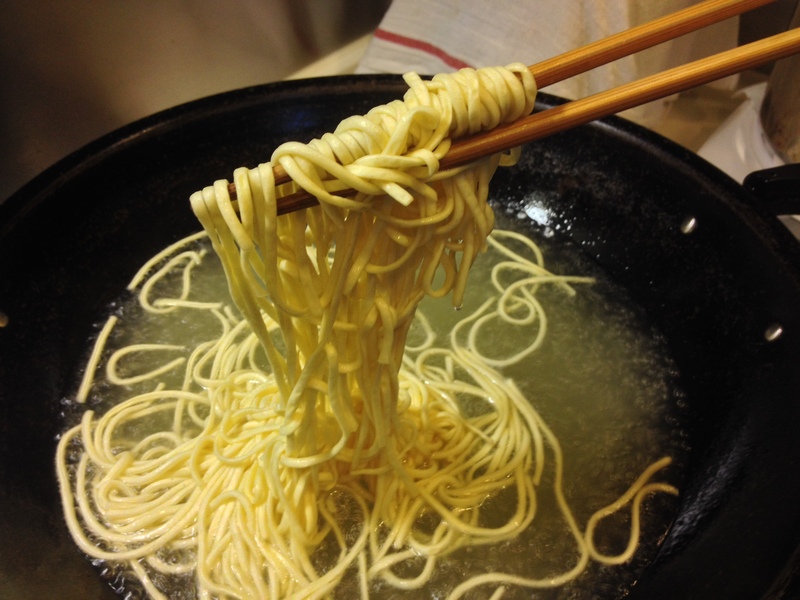 yi mein is a cantonese style egg noodle that’s deep fried and sold as dried noodle in the form of circular bricks. it usually comes in either large or small size. 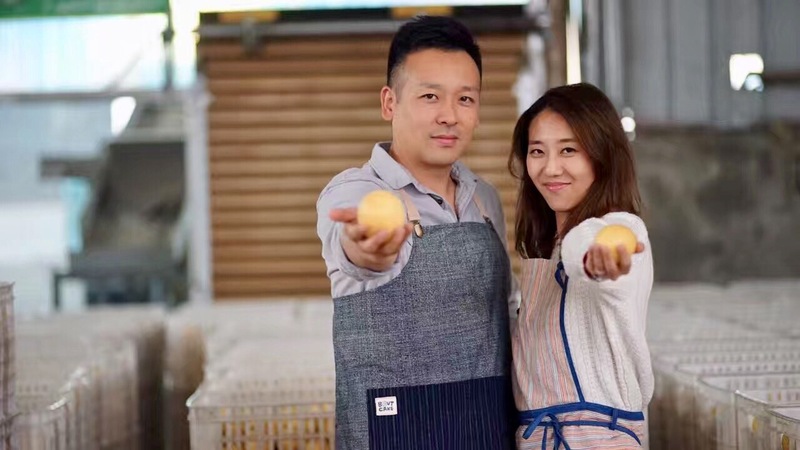 we were told by the vendor that one small brick cooks down to one small bowl of noodle. so don’t be deceived by the size of the yi mein in its dry state. we cooked 3 yi mein noodles, which was enough for the 4 of us that night. plus we had other dishes on the table. yi mein, like most noodles, is not yummo the next day as it tends to get soggy. below may seem like a lot of steps, but the end result is well worth the work. the noodle acts like a sponge. 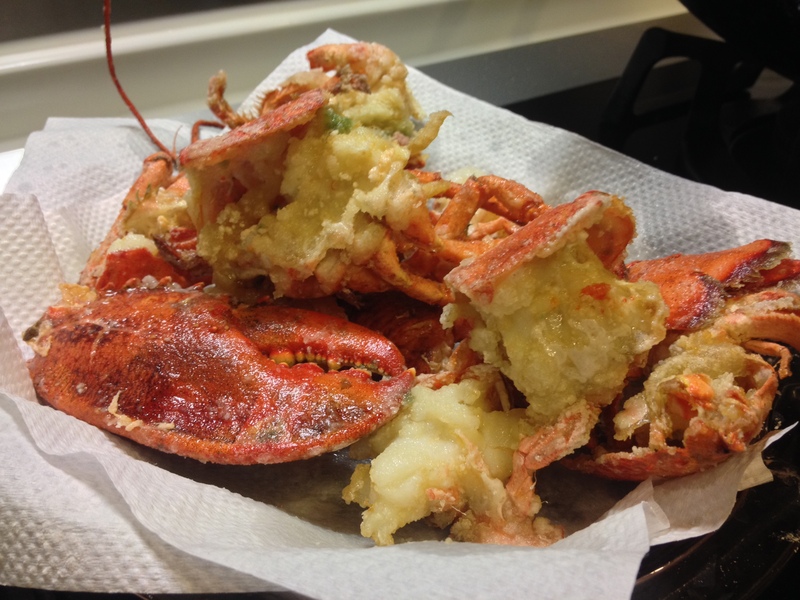 it absorbs the umami flavor from the shiitake mushrooms and the sweetness from the lobster. 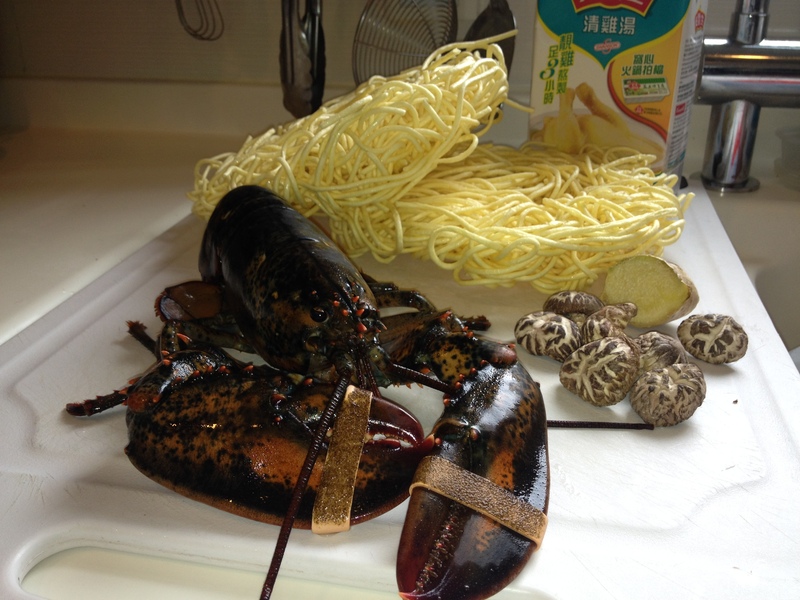 this probably is one of our favorite noodle dishes. look at those claws! 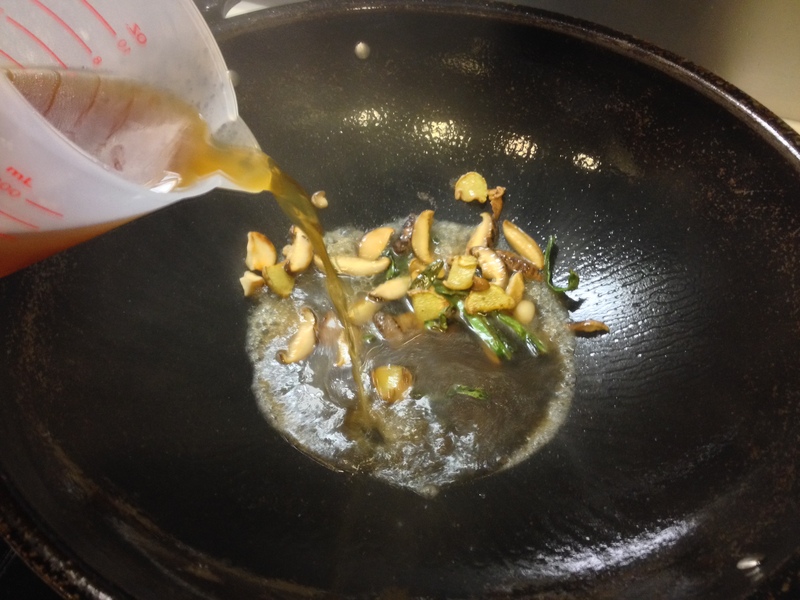 together with the shiitake mushrooms, they are going to give so much flavour to the yi mein! i know you are tempted to eat these beauties but control yourself! Oh my GOD this looks amazing! I wish I could try it! I am so glad you did, so l could discover your amazing recipes. 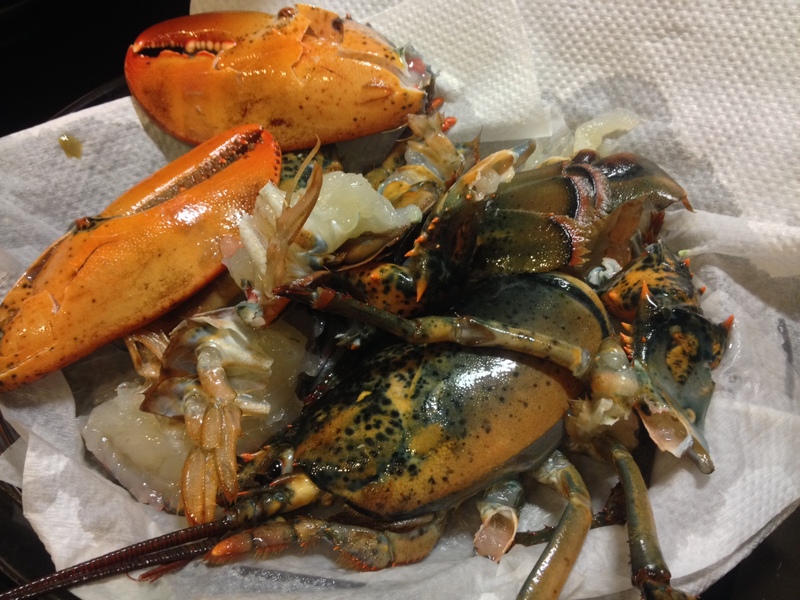 I am glad that you enjoyed my post on Lobster Rolls and Whoopie Pies…thanks for visiting. 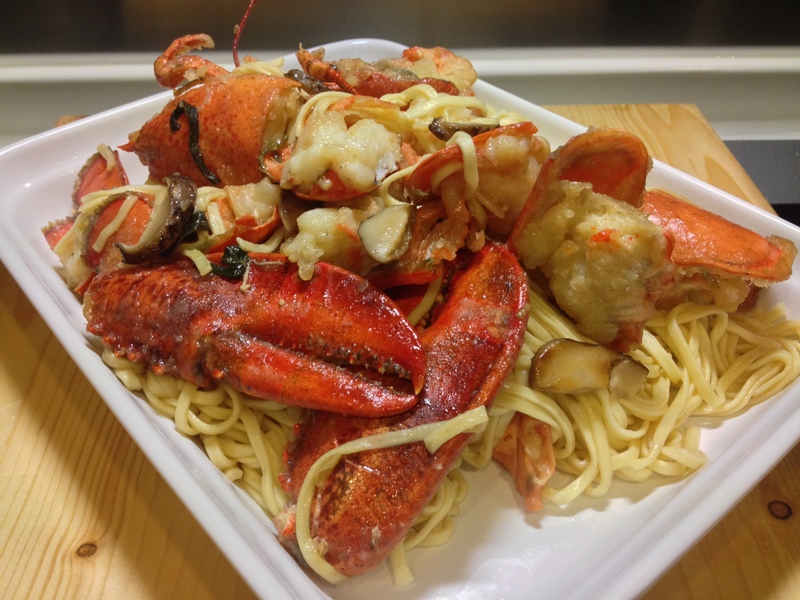 This Lobster Yi Mein dish looks amazing! 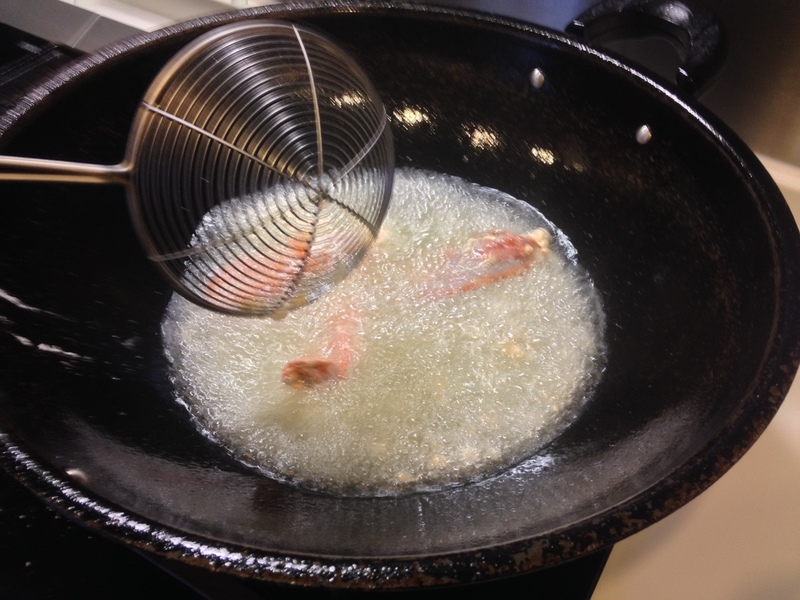 Made this for my Chinese gf’s birthday and it was great, cheers for the recipe.